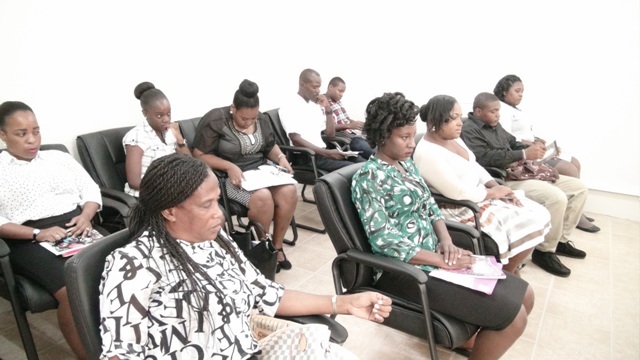 NIA CHARLESTOWN NEVIS (October 23, 2015) — Immigration officers on Nevis are now better equipped to play a more defining role in the security of the island’s entry and exit ports, following a two-day workshop to sharpen their skills. The training was hosted by the Department of National Security in St. Kitts in collaboration with the Premier’s Ministry in the Nevis Island Administration (NIA). It concluded at the Cotton Ground Police Station’s conference room on October 22, 2015. Facilitator, Senior Officer at the Immigration Department in the Ministry of National Security Alicia Huggins, told the Department of Information at a small ceremony on October 21, 2015, the training was designed to expose the officers to the fundamentals of fraud and imposter detection, improve the officers’ knowledge and understanding where processing of passengers was concerned, emphasise the critical role immigration is required to play in securing regional boarders and to clarify the role of an immigration officer with regards to national security. 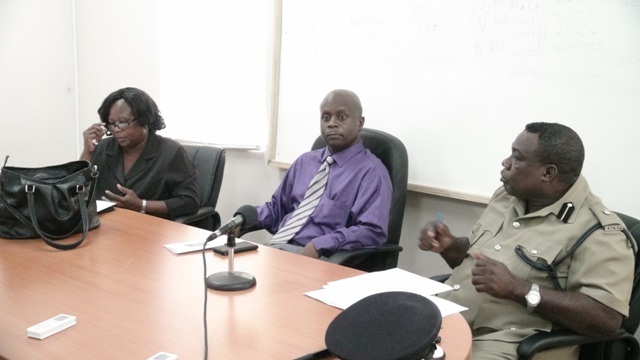 Meantime, Superintendent Hilroy Brandy, Head of the Nevis Division of the Royal St. Christopher and Nevis Police Force, told the immigration officers that they are charged with a very critical multidisciplinary role. He reminded them that their duties include but are not limited to enforcing the laws for entry and exit, protecting the country’s security at its entry and exit points, and checking and monitoring persons arriving and departing. He said in many instances they would serve as the first point of contact for visitors to Nevis. The senior police officer also told the participants that they are law enforcement officers who are expected to assist the police, have a trained eye to look at documents, be on the lookout for persons running from the law, internationally or locally, and to alert the necessary authorities. Brandy told the officers that their training and experience, so far, would provide the foundation for the standards of service and the levels of integrity expected of them, as the job would not be without challenges. He appealed to them to be always vigilant. He also urged them to perform their duties from a position of strength and to be always mindful of the expectations of the job. He said it is also very crucial that each officer be a good member of their team.